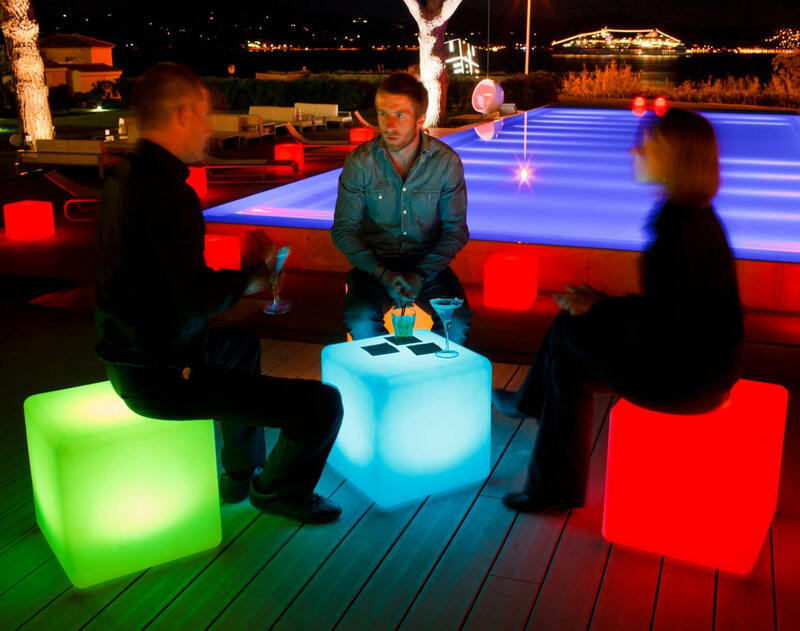 LED cubes are a unique piece of furniture and a great conversation starter. Weatherproof and water proof, use indoors or outdoors around the home, pool and even in nightclubs. Use as a seat or use as a table. The cordless and rechargeable cube make it a great portable piece around the club or pool. The Main Access LED cubes offer a variety of flash, fade and color functions via remote control.